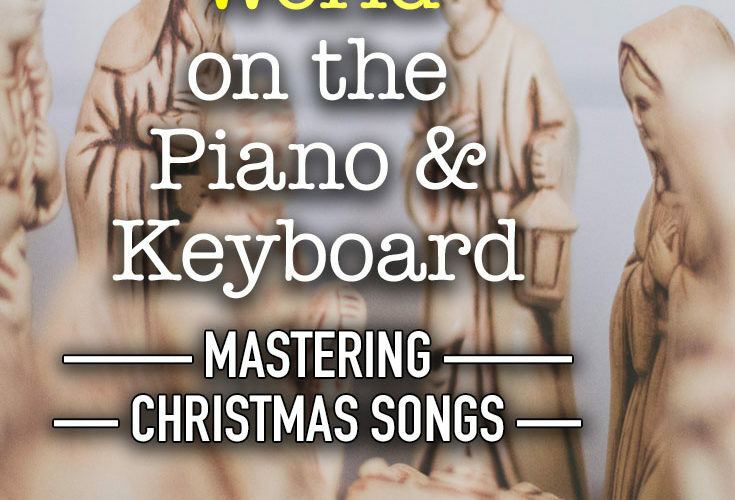 A popular carol in our series on mastering Christmas Carols on Piano and Keyboard is “Joy to the World”. Here, Joy to the World is written and played in the key of C Major, and has a 4/4 time signature. C major makes the higher notes more comfortable to sing, but you could transpose up (or indeed down) if needed. 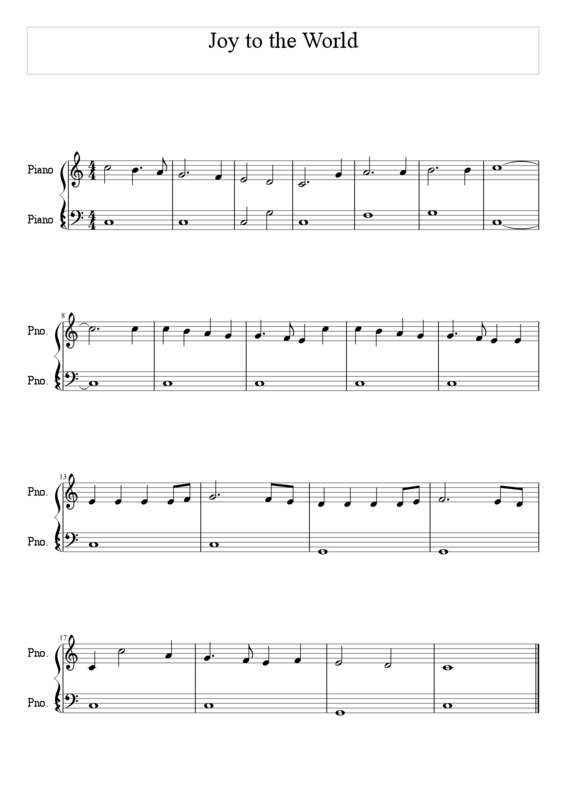 The first four bars contain a descending C major scale, so play this as you would a normal scale, starting on the fifth (little) finger, running to the thumb (on F) and then bridging over with your middle (third) finger to play the E, ending up on the thumb again on C.
Stretch your index finger up to the next note – G – if you can as this makes the next run easy to play. Play the descending runs of notes with your fingers in sequence, arching over with your index finger where necessary. Below is a simple bass line for the carol using just one note at a time. Most of the bass notes are whole notes (semibreves) with one bar of half notes (minims). You only play notes C, F and G.
This bass line is a little more elaborate and follows the melody rhythmically, often reflecting the melody in some way. 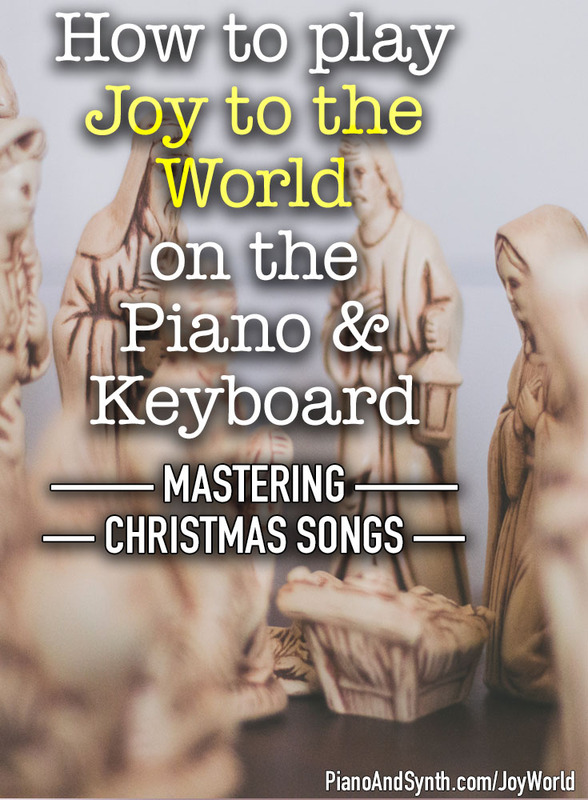 In the final version of Joy to the World, I’ve added two- and three-note chords to the right hand, always with the melody note as the highest note. The bass line has also been slightly altered to fit with the harmonies. This lead sheet provides the melody, chord changes and lyrics for four verses, in a single printable sheet. In this simplified version, there are just three major chords: C major, F major and G major. I’ve added chord slash notation for some of the chords, to add some colour and also to make them transition more smoothly.